Interested in hosting an EWS event? Launching September 2019 in Finale Ligure! 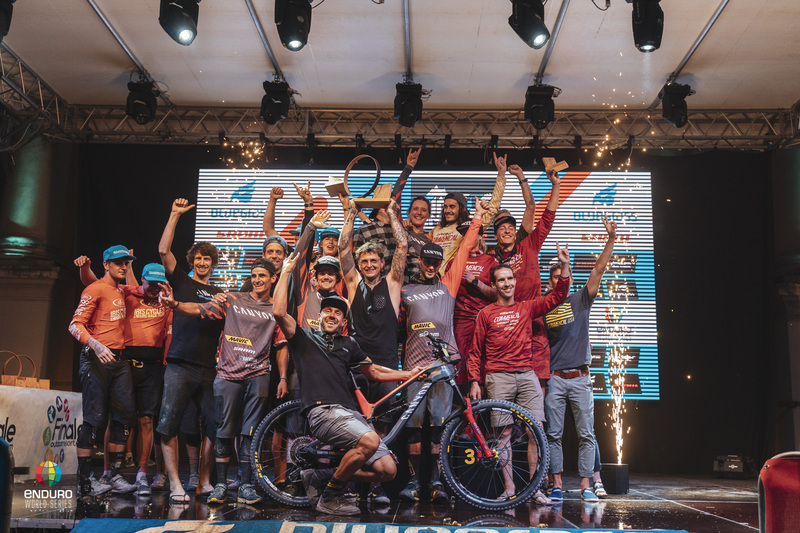 Following the final round of the Enduro World Series, the Trophy of Nations brings Teams of three riders together to compete for Nations, Industry and Privateer titles. Riders are selected to represent their Nation from the EWS Rankings, Industry Teams will be formed from EWS Teams and Supporters and the Privateer Team competition is open to anyone. A true combination of amateur and international competition, riders from around the world are able to compete on the same course as UCI Rainbow Jersey winners. Work with your team, strategise, pace each other, share the experience. Selected on the 2nd Monday of August, the top 3 riders per nation in each category of the EWS Rankings will be invited to represent their Nations Team. The 4th ranked rider in each category will be designated the official alternate. If a nation does not have 4 riders in the EWS Rankings, the EWS Global Rankings will be used. Nations that do not have 4 riders in each category of the Global Ranking can submit a Wildcard Application, due on the 3rd Monday of August. A nation must have at least 1 qualfied rider for a wildcard application to be considered. Official Nations Teams will be publicly announced on the 4th Monday of August. Make up your team of riders, engineers, staff... it's up to you! Race together with your friends on the same course as the UCI Rainbow Jersey race! Team Registration fee 396.75 GBP (full amount payable by team captain at registration).